Columbia County residents enjoy quality educational options for both the young student and the life-long learner. Expand horizons in the classroom and through the wealth of opportunities afforded by our close proximity to multiple institutions of higher learning. • Dayton School District offers K–12 education on a centralized campus, making access to classes and extracurricular activities convenient. The student-teacher ratio is excellent at 17:1. 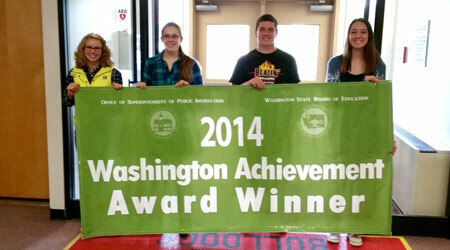 Dayton High School was recently recognized as a High Progress school by the Washington State Superintendent of Public Instruction — a recognition that it is in the top 10% of schools in the state making the most progress in reading and math. • Starbuck School District offers multi-grade classrooms with a very small student-teacher ratio. The nearby community of Walla Walla boasts three highly-regarded institutions of higher learning and one regional skills center. Partnerships with these institutions and the local transit system enable Dayton students access to quality higher education just a half-hour from home. Ranked one of the top liberal arts colleges in the nation by US News, Forbes, and others. Named one of the Best Colleges, Regional Universities in the West by US News in 2014. Named the top community college in the nation by the Aspen Institute in 2013. Established to provide advanced-level career and technical education programs.